Celebrate the 30 years of Tecmo Bowl at our 4th annual Tecmo & R.B.I. tourney. This day long event is one of the top retro gaming events each year. Visit TecmoBowlNES.com for all the details, or fill out contact form below. Each event begins with 3 game opening round. Results are used to seed the tourney. Fill out form for more details, or to inquire about registering. Curious about our events? 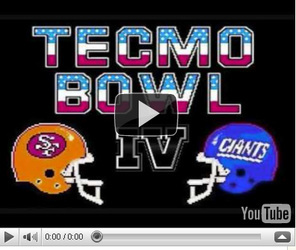 See video below of 2018 Tecmo Bowl & R.B.I. Baseball tournaments. The 3rd annual Omaha Tecmo Bowl & RBI Baseball tournament was a huge success with great turnout. ​5 states were represented by players from Colorado, Nebraska, Kansas, Iowa, and Illinois. Join us next year! Chicago was a buzz with the Bears Tecmo Bowl VI victory. Chicago had reached the Tecmo Bowl once previously in their history...losing 12-10 to Miami in Tecmo Bowl II. Marino had no answers against the Monsters of the Midway. Walter Payton assaulted defenses in 3 straight playoff games with a performance for the ages. -Eric Dickerson & the defending champion Colts were dispatched by Seattle...and the legs of James Jefferson, with his 2 kick return TDs in the 3rd qtr. Seattle won 14-10, and headed to their 2nd consecutive conference championship game. 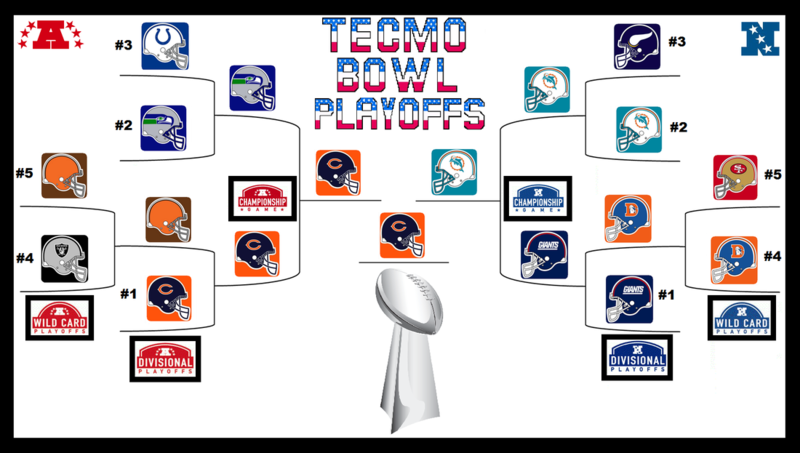 -Odds makers had New York pegged as the favorite to win Tecmo Bowl 6. However, Lawrence Taylor & the Giants D were beat on a late TD pass by Marino. The loss knocked the G-Men out in the conference championship game for a 2nd year in a row. -Walter Payton torched the Browns, Seahawks, & Dolphins on the ground. The Bears defense also shined in three routs. No outcome was ever left in doubt during the 4th qtr of their playoff run. Chicago won their 3 games by a combined score of 58-9! Seattle was all smiles as they ended the Colts bid at a repeat. joined the "Iron Bowl Hour" show, for a feature on Tecmo Bowl. Fredd was a 4 time Pro Bowl player for the Seahawks. He hooked us up with a personalized "2 X All Pro" signing. Fredd is one of the absolute best LBs in Tecmo Bowl, and one of the most notorious "under the radar" types in the game. Gentry is best known for taking kickoff to the house in Tecmo Bowl...and does it quite often. For as little as he gets to touch the ball, he's basically the most dangerous player on the game. He also wasn't aware that he's a stone cold killer in Tecmo Bowl, until we sent him this cartridge with a note explaining his awesomeness. Bickett was defensive rookie of the year in 1985, & a Pro Bowl player in 1987. He racked up 1,000+ tackles in his career & 53 sacks. In Tecmo Bowl, Duane leads the Colts, shutting down the run, & is pretty solid in pass coverage. He's the 2nd best bottom outside LB in the game, behind only L.T. and he's known to blocks a few kicks. Williams became an NFL pioneer as the first black QB to win a Super Bowl. His career is best remembered for his performance in SB 22 against the Broncos. In Tecmo Bowl, he leads a steady attack that just needs to manage the offense while letting the great Redskins defense shut down the opposition. McNeil joined the Browns in 1986. He was the only player in the league to return a kickoff & punt for a touchdown that year. Gerald followed that up with a Pro Bowl selection in 1987. His diminutive height & size led to him being called "The Ice Cube". The nickname was due to Gerald's size compared to William Perry of the Bears, who was known as "The Refrigerator". Why do we love Tecmo Bowl, & R.B.I. Baseball so much? The Nostalgia Of Tecmo Bowl & R.B.I. Do you remember Lawrence Taylor terrorizing the offense with his unrivaled speed? How about breaking off long runs with Bo Jackson in Tecmo Bowl, & decimating the defense all game long? What about Roger Clemens racking up a ton of strike-outs in R.B.I. Baseball with his blazing fastball? Or those towering Mark McGwire home runs that looked like they were being sent into orbit? Those super star players in Tecmo Bowl & R.B.I. Baseball could perform amazing feats...the kind of performances which are rarely seen in the NFL or Major League baseball. On the Nintendo, these types of efforts could happen each & every time you turned the game one. For many, the nostalgia, heroic super-athlete aspects, & overall sense of sheer fun associated with these games remains strong to this day. Not only are the games easy to play, but were the epitome of arcade styled fun at that time. The entertainment value was sky high. You could play these games all day long in 2-player mode vs your friends. Nintendo's Tecmo Bowl & R.B.I. Baseball were the best sports video games available in the late 1980's. They were pioneers compared to what was previously on the market for the NES. Before their release, gamers were accustomed to nameless players & teams, with poor game play functions. Both games took a big step forward ushering in new elements to the sports game community. Tecmo Bowl & R.B.I. Baseball featured the players association licensing. This introduced for the 1st time real players & their abilities to the sports gaming world. This new feature led to them becoming some of the most popular video games from their era. Tecmo Bowl featured amazingly smooth control of the players, & R.B.I. Baseball had a great pitcher/batter interface. Realism was finally starting to take hold, while still keeping the sense of arcade fun. & graphics, but we enjoy these classics more than ever. The difference with Tecmo Bowl & R.B.I. Baseball now is having the strategy down to a science. Our strategies evolved over the years as the actual data & player ratings inside both games have been exposed. This has played a key role in the games becoming far more competitive & complex. With years of experience & knowledge of Tecmo Bowl & R.B.I. Baseball, our impression of these games has changed. We mastered the nuances and minutiae involved with both games. Its no longer about randomly picking 1 of 4 plays in Tecmo Bowl. There's a distinct set of calls in the game-plan that can slow down any offense along with the Tecmo super-stars like Bo Jackson & Jerry Rice. The power rating of each & every batter in R.B.I. Baseball has been examined, & it's completely changed how we pitch to each line-up. The late game substitutions in in R.B.I. have paved the way for maximizing each teams batting potential. Tecmo Bowl & R.B.I. are no longer like a game of checkers, but more reminiscent to a game of chess. They have become cerebral battles. No other site on the web offers the strategy, insight, player rating info & sheer analysis that is found here. It's not only the strategic aspect that keep us coming back for more. What separates us from others is how we play the games. The various formats & competitions ultimately keep Tecmo Bowl & R.B.I fresh for us. While others may just play a few random match-ups, we have many different styles & formats that create story-lines & intrigue with each new competition. There is always an "end-game" of sorts when we play. Our seasons are over 80 games long, played out over a few months. The 25 game "cup" set-up offers us a shorter competition that still has a lot of build up. The Royal Rumble & it's single game elimination format offers us a lot of entertainment over a few hours en route to crowning a champion. Playing Tecmo Bowl & R.B.I. Baseball in these interesting ways keeps us vested in the games. These competitions play a key role in a lot of content that is presented here as well. Our detailed season recaps tell the story of how a team won the title. The greatest games we've played are chronicled here as well. A monthly podcast breaking down Tecmo Bowl & R.B.I. Baseball is yet another avenue by which our enduring interest for these classics reaches the gaming community. This site is the vehicle by which our passion finds its way out to others that still enjoy these games. Greatest games of Tecmo Bowl ever played!